An increasing amount of waste is produced year over year, without any signs of slowing down. However, by reorienting the perspective, organic residual waste can be seen as a valuable source of nutrients and carbon that should be valorized, instead of a waste product to be disposed of. 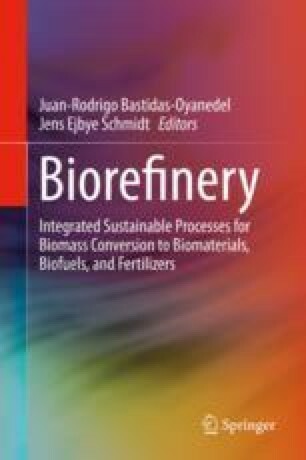 This chapter covers the main methods of converting waste into value-added products. Two main categories of waste conversion technologies are explored: thermochemical and biochemical. Thermochemical conversion technologies include incineration, gasification, pyrolysis, and torrefaction, while biochemical conversion technologies include anaerobic digestion, fermentation, composting, and landfills with gas capture. Additional technologies for nutrient recovery as marketable end products following thermochemical and biochemical conversion are also discussed, including phosphorus (P) extraction, ammonia stripping and absorption, precipitation/crystallization, and membrane filtration. Carbon dioxide capture and valorization is also briefly explored. This chapter aims at providing general information on these technologies and the products that can be obtained through their use.